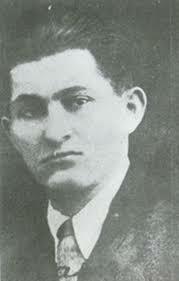 Zarko Zrenjanin - Uca (1902 - 1942), a member of the Central Committee of the Communist Party of Yugoslavia (KPJ), political secretary of the Provincial Committee of the Communist Party of Yugoslavia for Vojvodina, the organizer of the uprising in Vojvodina and the national hero of Yugoslavia. 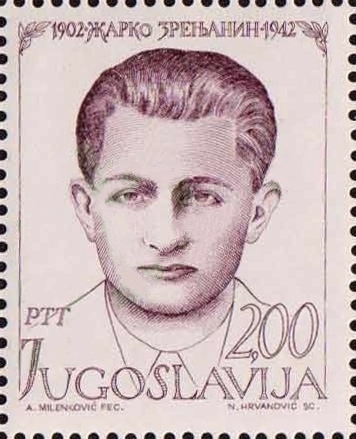 Born on September 11, 1902, in the village of Izbište near Vršac. He comes from a poor peasant family. He attended primary school in Vrsac, and high school in Szeged, the Bela Crkva and Pancevo. In 1923 he completed the Teacher's School in Sombor. Still, as a student of Sombor Teacher's School, he approached the revolutionary youth movement. In 1927 he became a member of the Communist Party of Yugoslavia when he founded the first party cell in Izbist. The secretary of the County Committee of the KPJ for Vršac was elected in 1930 and in March 1932 was elected as secretary of the KPJ District Committee for Southern Banat. In his home in Izbište organized a small party illegal printing press. Editorial and most of the articles he wrote himself. In April 1933, a printing press was discovered by police. Žarko was sentenced to three years in prison by the State Protection Tribunal, serving the sentence in Sremska Mitrovica and Lepoglava. With Moško Pijade, Ivan Milutinovic and other prominent communists, Zrenjanin fought for the rights of political prisoners, participating in hunger strikes and other communist actions. Panel in the former Street Zarko Zrenjanin, now Duke Stevan Šupljikca, Belgrade. Years before the war belongs to the most prominent KPJ activists. In addition to organizing party work, he develops agitation and propaganda. He has written many texts on national, agrarian and other problems. During the March events 1941, he led anti-fascist demonstrations in Pančevo and Vršac. He participated in the May Counseling of the KPJ in Zagreb and then organized preparations for the Liberation War in Vojvodina. At that time, he worked mostly in Banat and was the initiator of the creation of partisan detachments and their armed actions in July 1941. Zrenjanin is considered the defeat of Germany at Moscow sign that KPJ is ready for events that may result from the defeat of the Wehrmacht. February 1, 1942. The Provincial Committee of the CCP for Vojvodina warns the Bačka and Baranja organizations to prepare for the takeover of power, which was a unique case in Yugoslavia at the time. 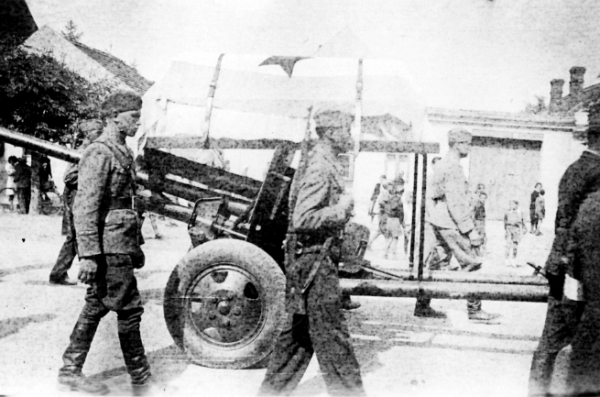 The Gestapo made great efforts and organized numerous forces to capture the "Red Generals" as Zrenjanin called. At the beginning of November 1942, Tito called on Zrenjanin to come to the free territory of Western Bosnia and attend the first session of AVNOJ (The Anti-Fascist Council for the National Liberation of Yugoslavia). When preparing to leave Srem, and further to western Bosnia, Zrenjanin was betrayed to the Gestapo and was killed on November 4, 1942, in the village of Pavliš, near Vršac. For merit in the organization of the revolutionary workers' movement and the National Liberation Army in Vojvodina, Zrenjanin, on December 5, 1944, was proclaimed National Hero of Yugoslavia. 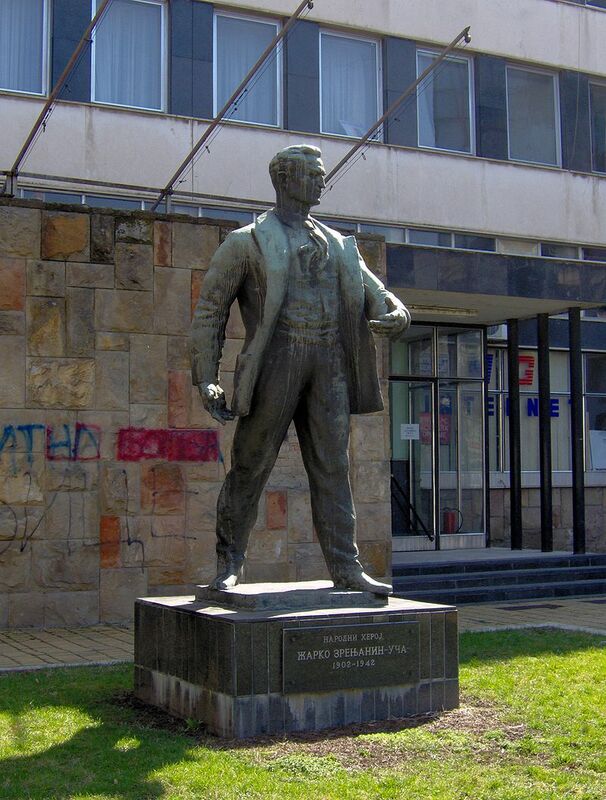 The city of Zrenjanin, in Serbia, is named after him, since 1946. Over 60 settlements in Serbia, mostly in Vojvodina, have a street with the name of Zarko Zrenjanin.